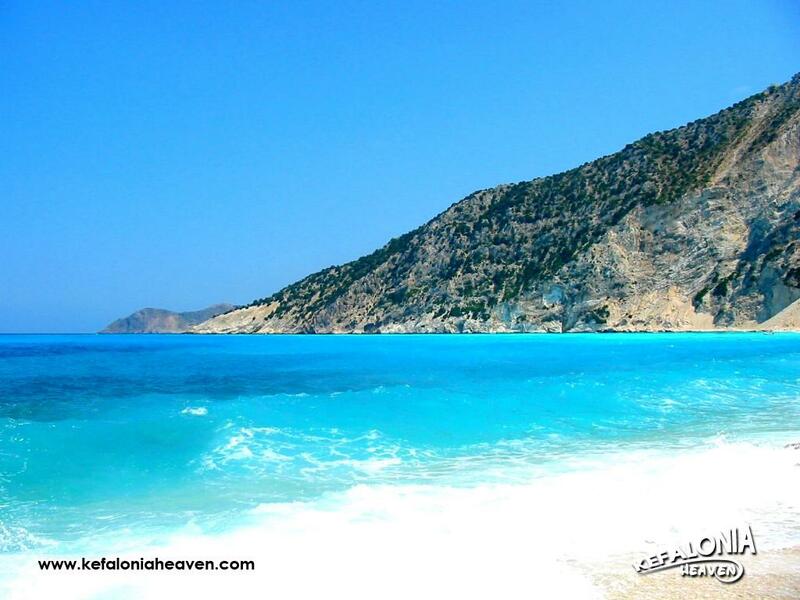 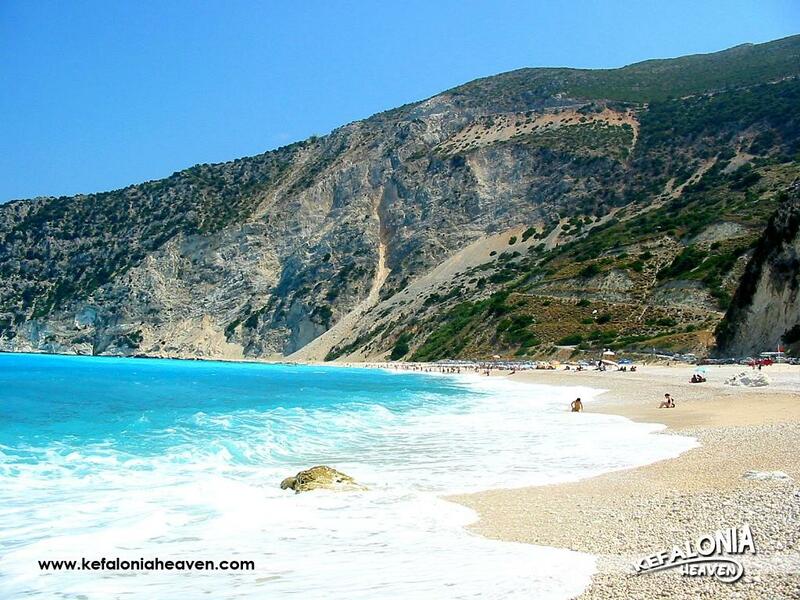 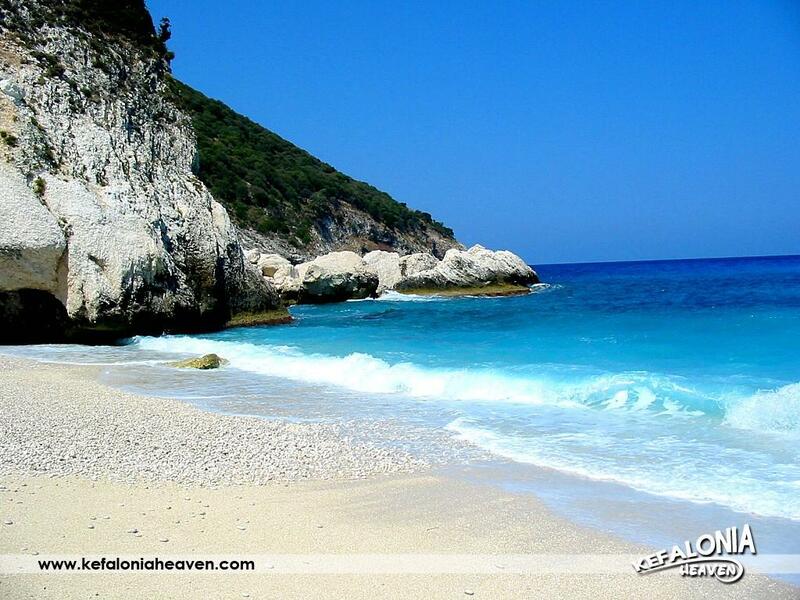 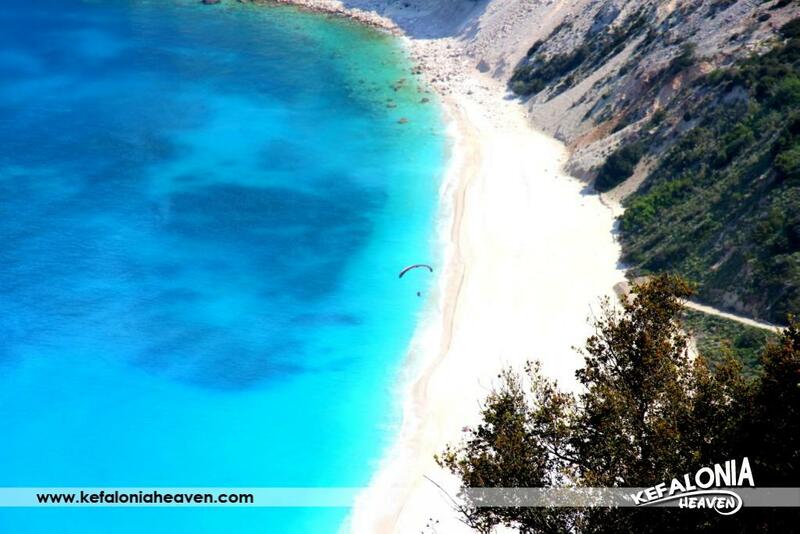 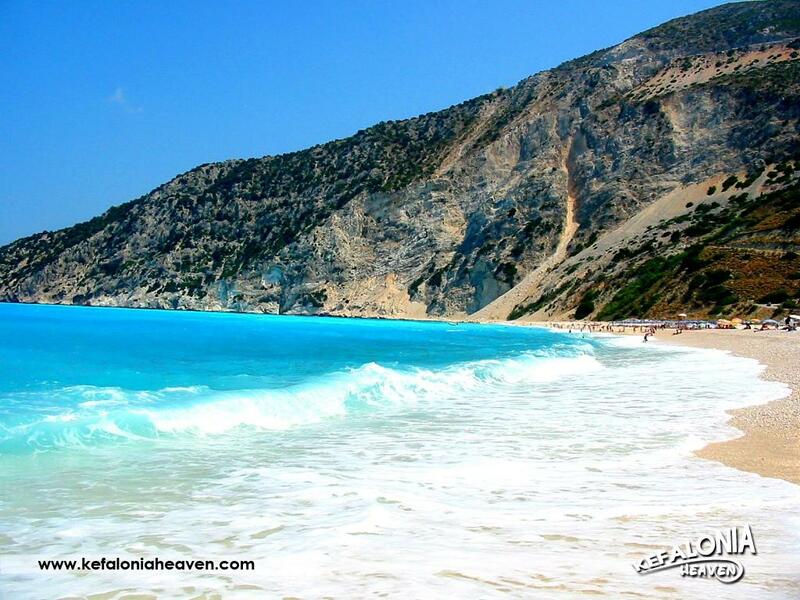 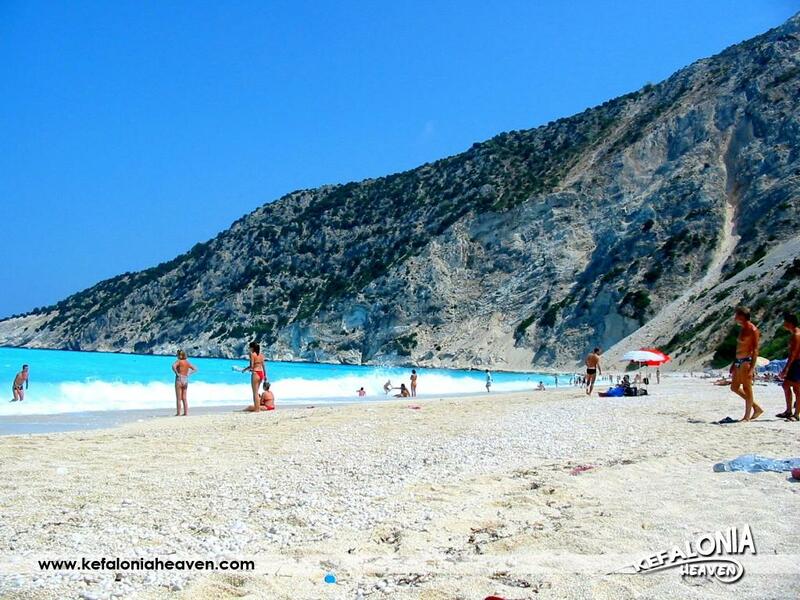 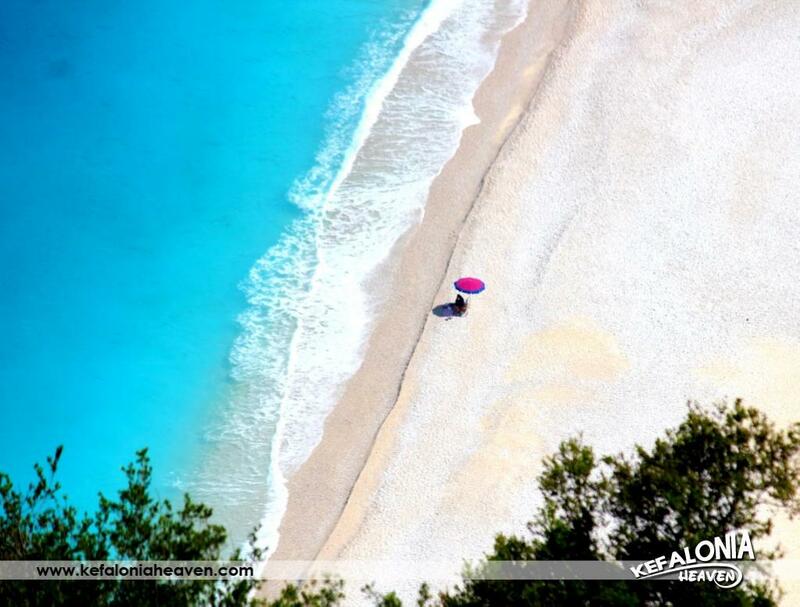 Myrtos is the most renowned and one of the most beautiful beaches of Kefalonia, being a main feature of the island. 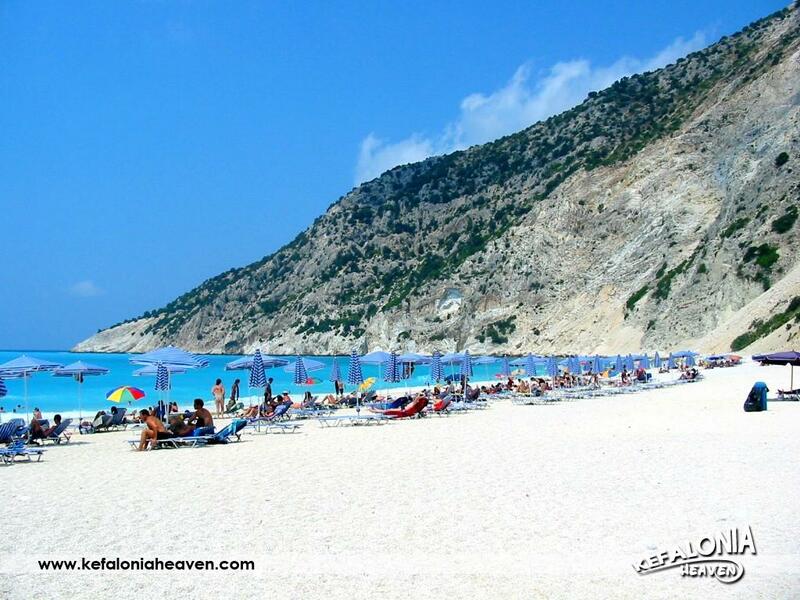 Not only do Kefalonians know this beach, but all of Greece and the world as well, as it is ranked as one of the best beaches not only in Greece, but internationally too. 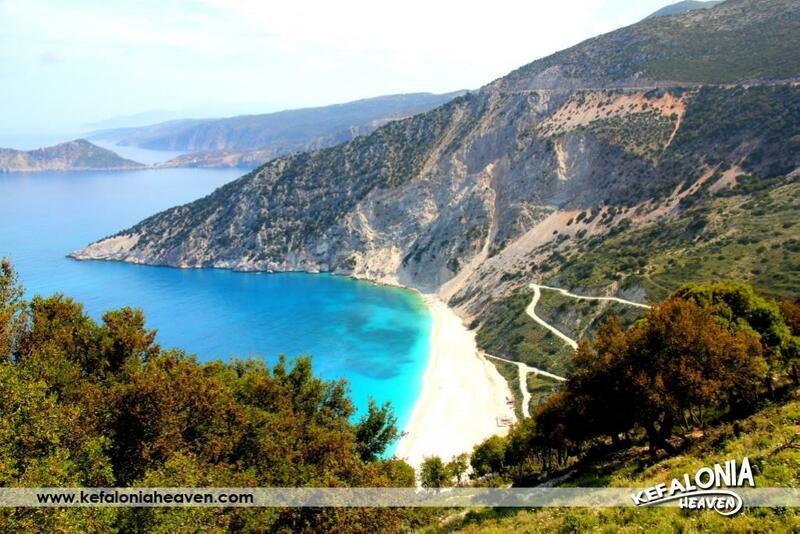 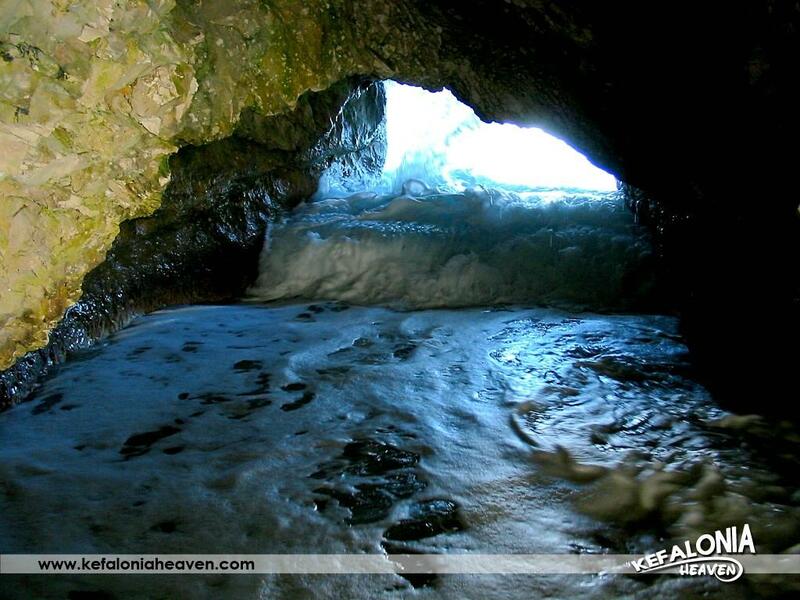 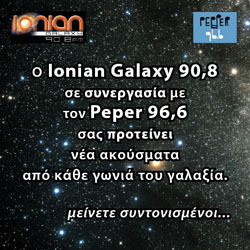 It’s situated in northern Kefalonia, in the area of Pilaros, around 30 kilometers from Argostoli. 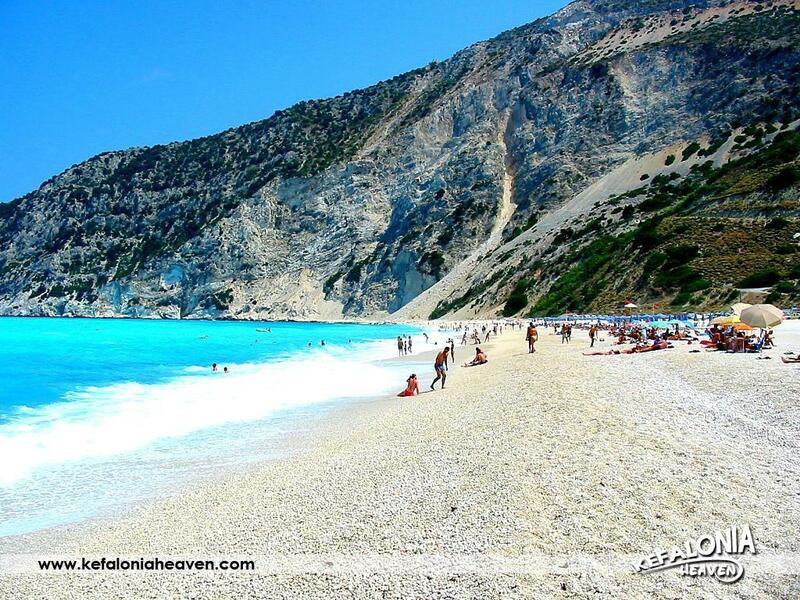 It’s a beautiful beach with a distinctive terrain variety, fine sand and surrounded by steep, vertical cliffs. 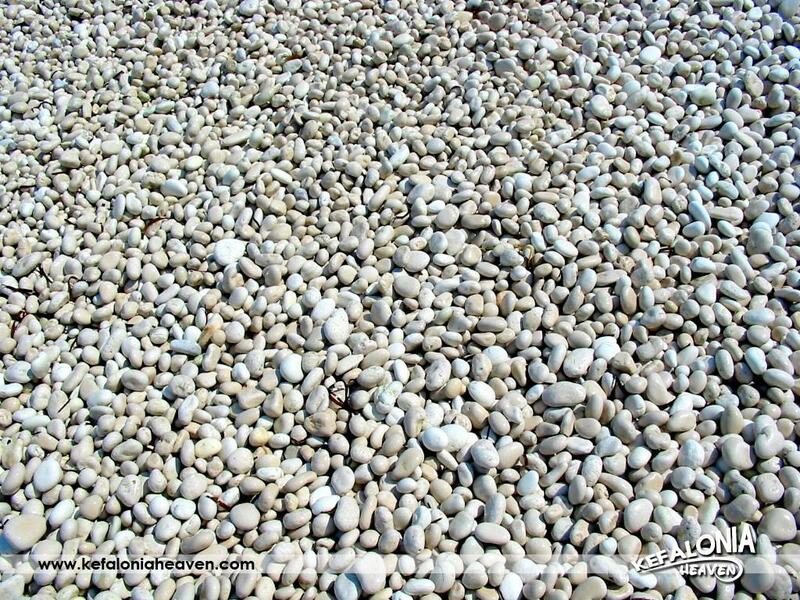 There is also a spot with rocks and pebbles, so you can choose whatever you prefer. 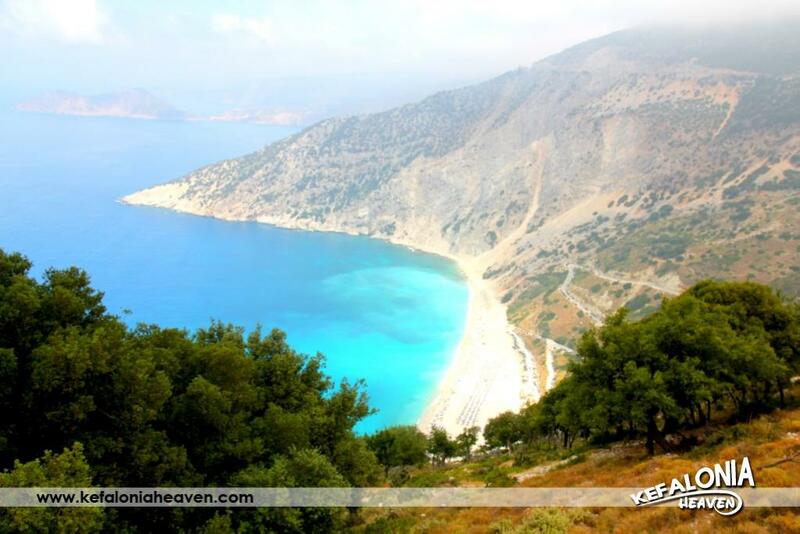 The view from above Myrtos is breathtaking, known for the contrast of its white pebbles with the different shades of color the sea takes on, due to the currents and the dark green of the area. 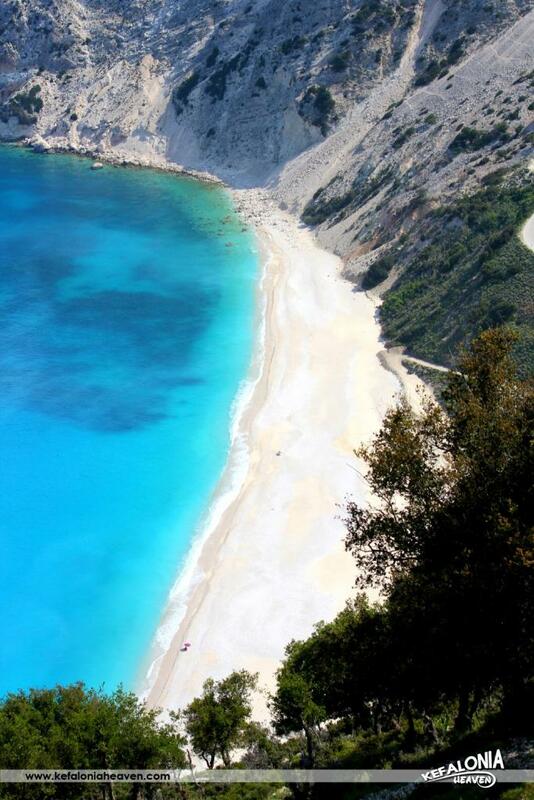 This is probably why this beach is famous and has been described by some as “amazing” and “like a small piece of the sky”. 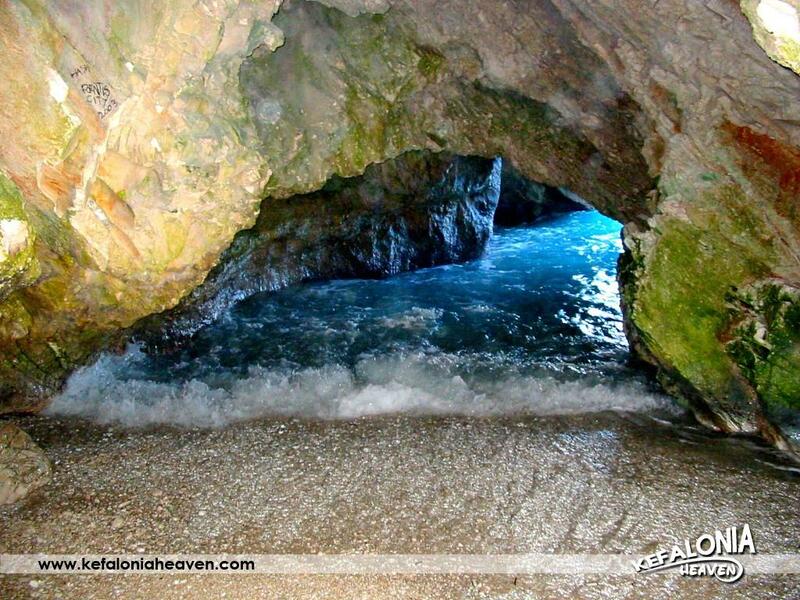 It is located at the foot of the steep hillside, quite a few meters below the level of the road. 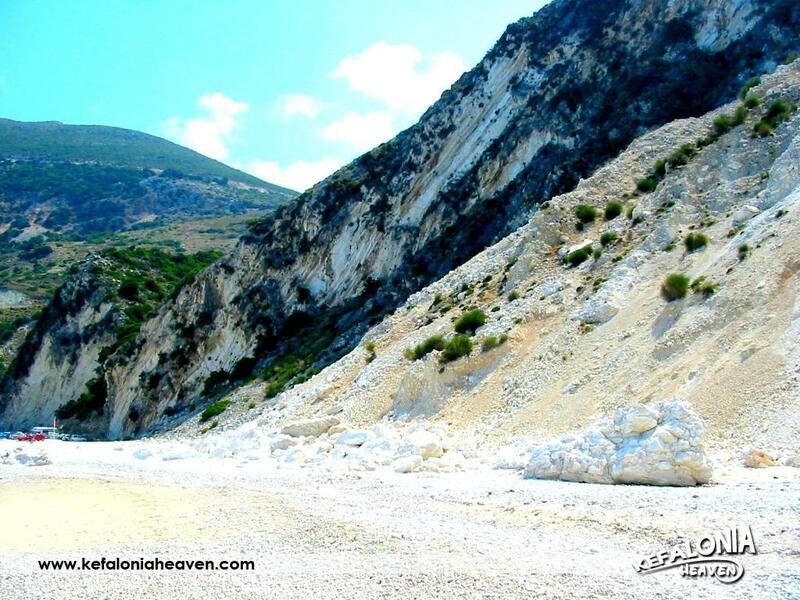 The visitor must descend quite a few kilometers down the hill in order to reach it, on a road which has fortunately been widened and paved over the past few years. 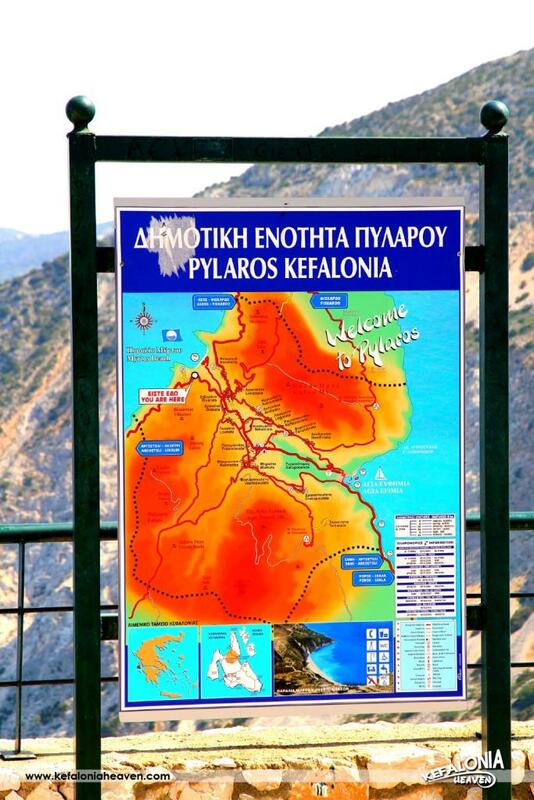 This makes a car necessary for anyone who wishes to reach it. 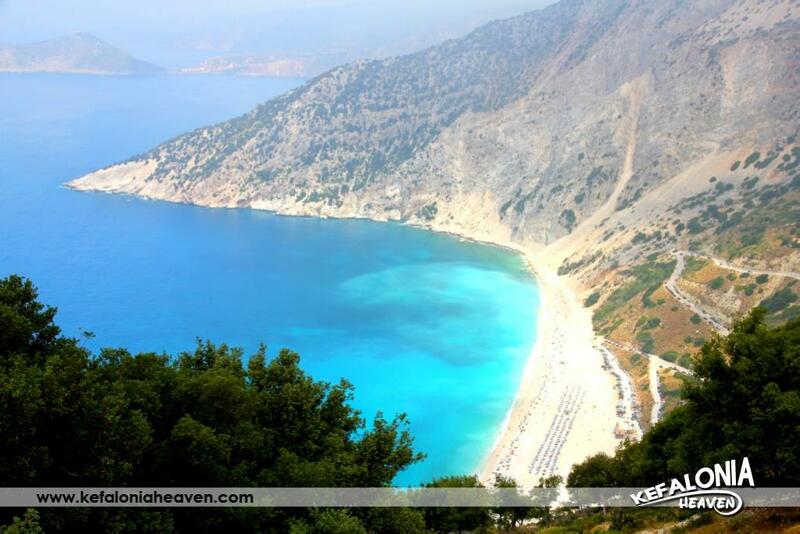 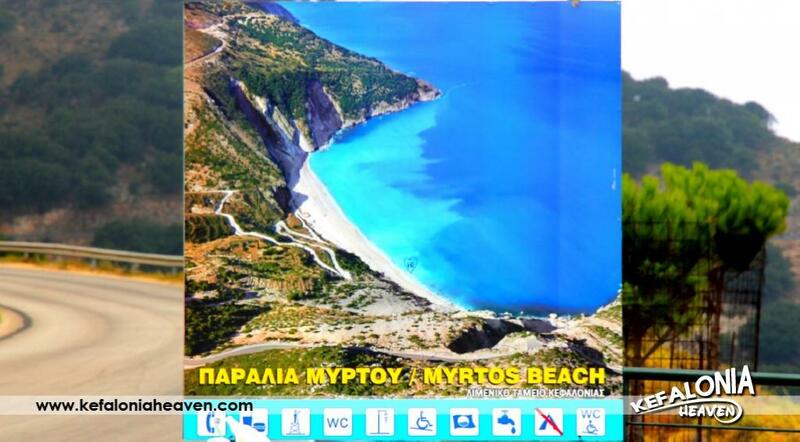 Myrtos’ size is quite big and more than 15 minutes are needed in order to walk from one side of the beach to the other. 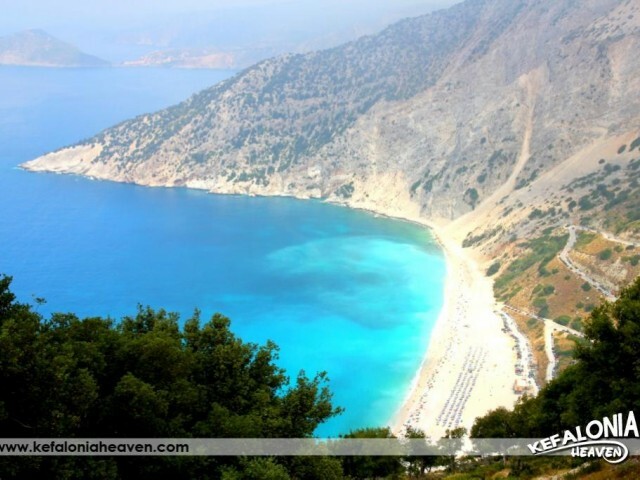 Its waters are ever green. 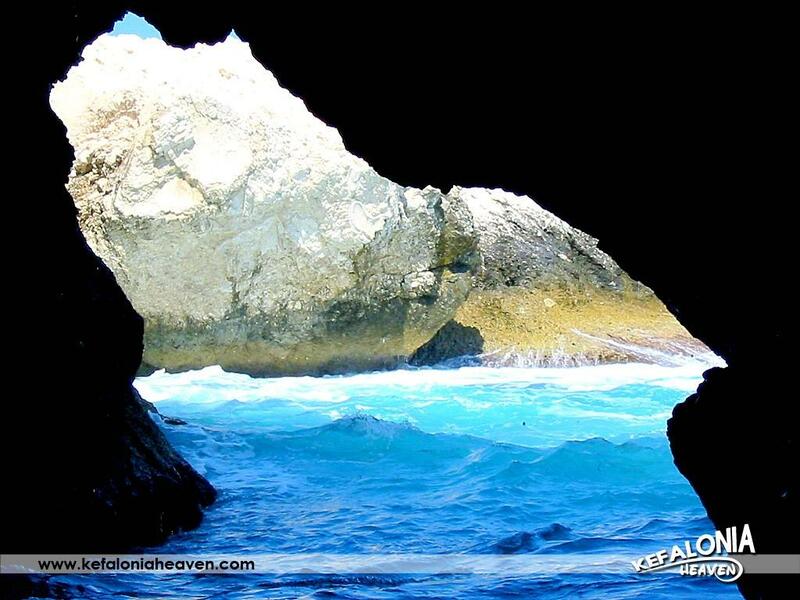 The sea isn’t clear due to the sediments carried by currents and it deepens abruptly, while many currents can carry away the swimmer. 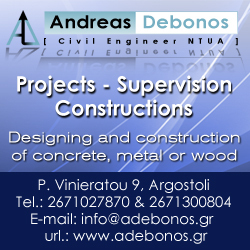 Many such cases have been noted, so particular attention is needed. 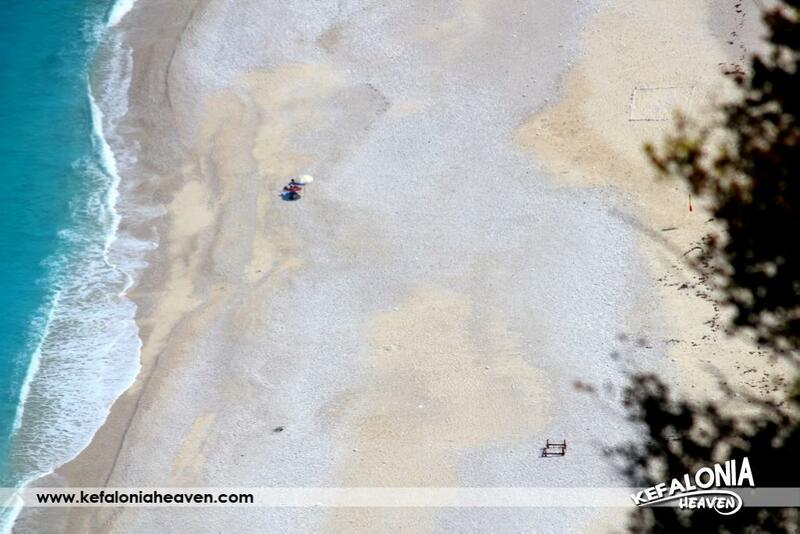 The life guard which has been hired the last few years, is in charge of determining when the sea is too dangerous for swimming, but also of interfering in difficult situations. 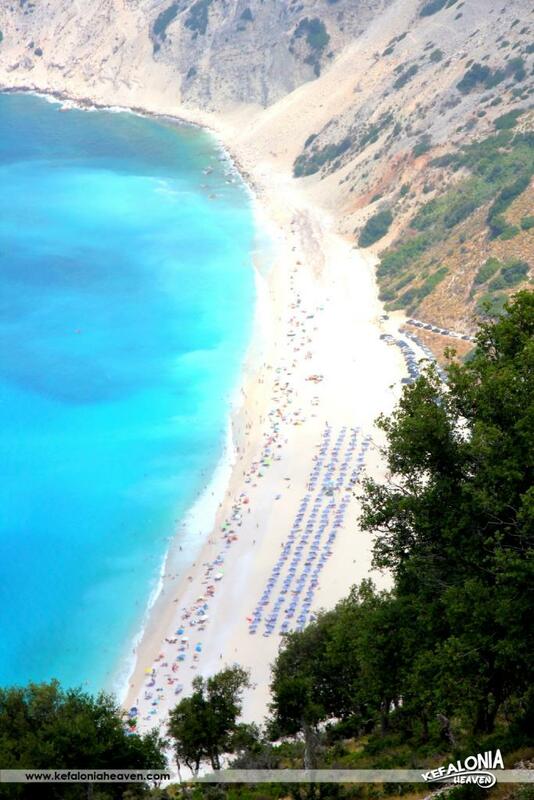 The beach receives a blue flag every year as it is entirely organized and a spacious parking space has been recently built. 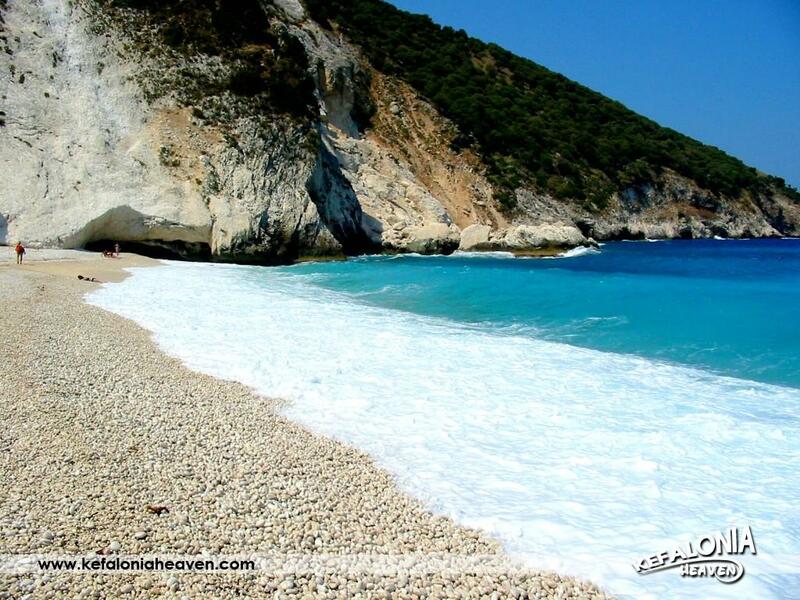 One of the features that distinct Myrtos is the cave at the end of the beach. 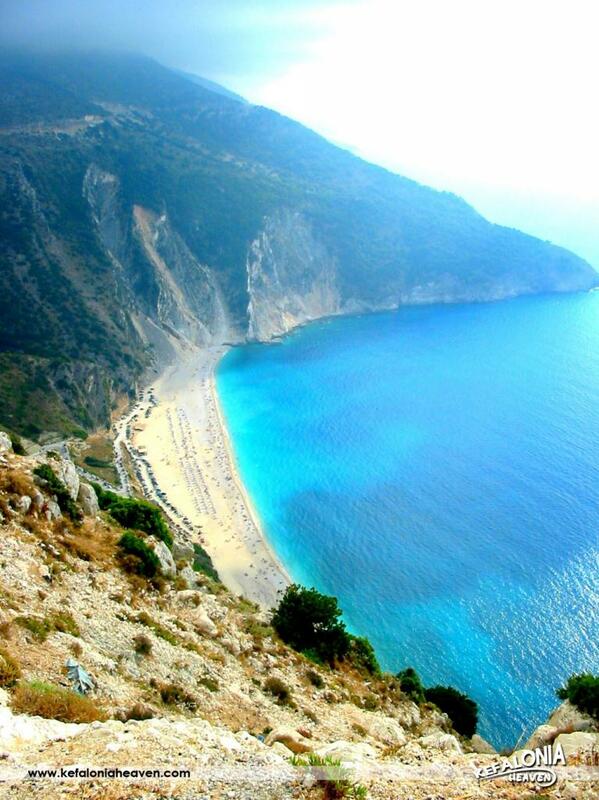 All the elements combined together form the mesmerizing landscape.